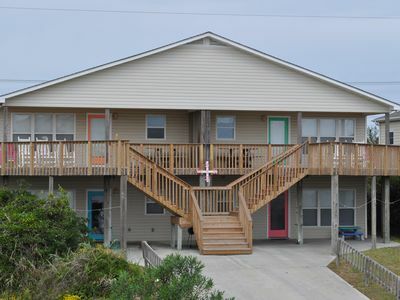 BEAUTIFULLY DECORATED, FULLY FURNISHED, OCEANFRONT DUPLEX perfect for family vacations, reunions, and fun get togethers. 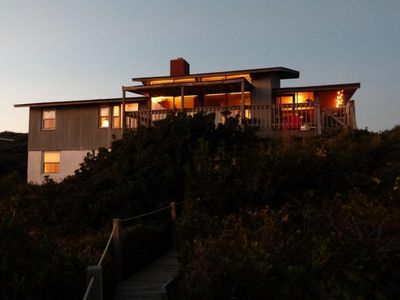 Three levels with FIVE bedrooms and FOUR full baths; three ocean front bedrooms with a oceanfront deck off each. Lounge chairs on each deck. 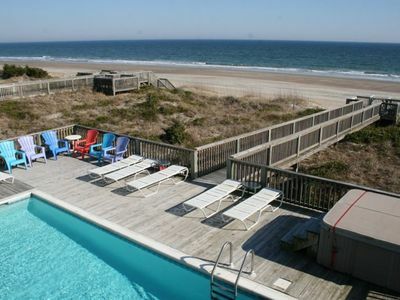 Relax on the first floor deck on lounge chairs or rock in rocking chairs. Watch the dolphin, or the cool swimsuits go by. 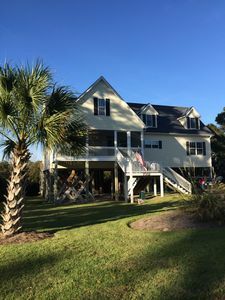 Large flat screen TV on first floor family room, stero system, PlayStation2 with games; flat screen TV in all bedrooms, wood flooring throughout/tile in bathrooms so no pets please, commercial grade foosball table in first floor bedroom, books, magazines, and DVD's. Two sofas in family room. A Chicco Pack-n-Playard for the really small chaps. Fully stocked kitchen including.. blender, coffee pots, bagel toaster. Big pots for seafood stew. No scrimping in the kitchen with utensils, glass ware, pots/pans, etc. Very nice appliances to include large Samsung refrigerator, Life is Good (LG) washer and Electrolux dryer. 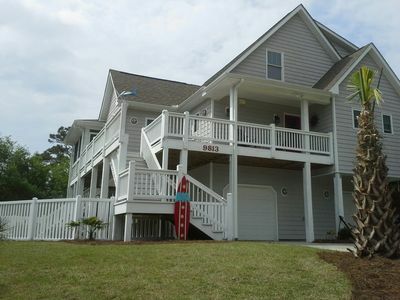 Wireless WiFi, two adult bikes, wave boards, kiddie pool, sidewalk chalk, beach toys, gas grill. The island has added miles of bike paths. 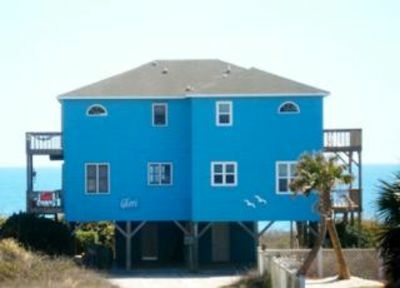 You will appreciate our clean, beachy, artsy, colorful duplex in teals and blues. 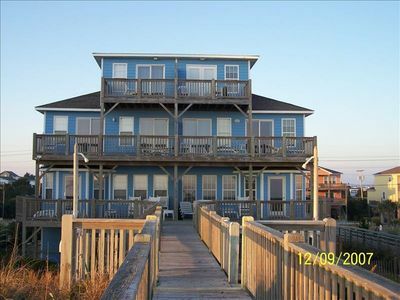 This is a great location for surf fishermen with a medium depth beach just a few steps from the boardwalk. Nice wide sandy beach for the entire family. There is an outside shower to rinse off as well as hot/cold outside shower. This is the perfect house for families - minimum age to rent 25. 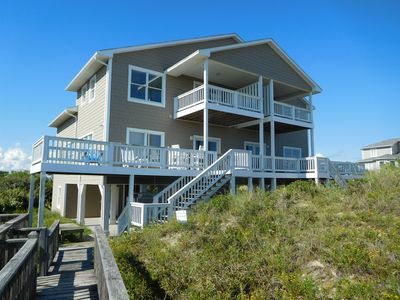 Exclusive Dolphin Ridge 'Island Time' "September Special pricing! 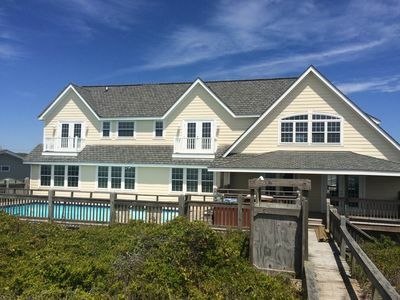 7 Bed, 7 Bath Oceanfront with Pool! 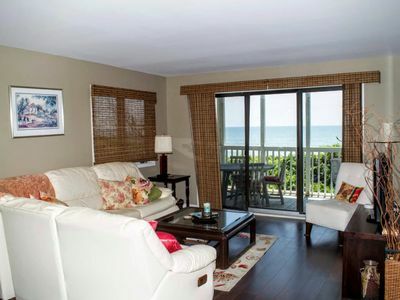 Recently Renovated Oceanfront Condo in Beacon's Reach! 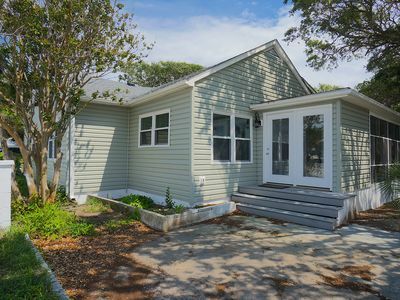 Clean, renovated family vacation home at the Point. Wide, soft sand beach! 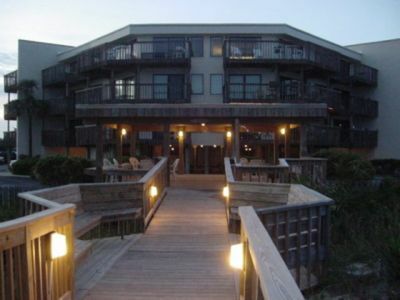 2 BR Oceanfront condo with great panoramic views!! 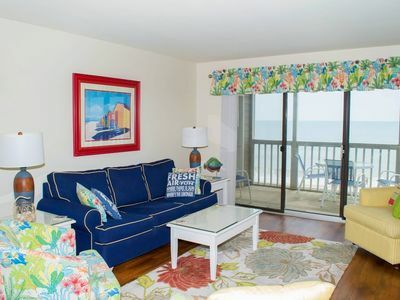 Emerald Isle North Carolina -Queens Court resort, Queen Nicole Condo! 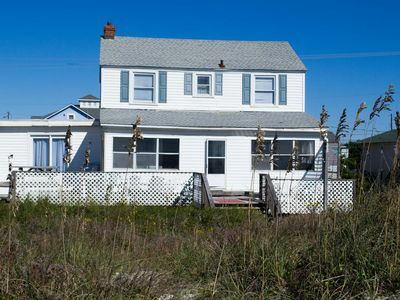 5BR Oceanfront Cottage with great views and a large sun porch! 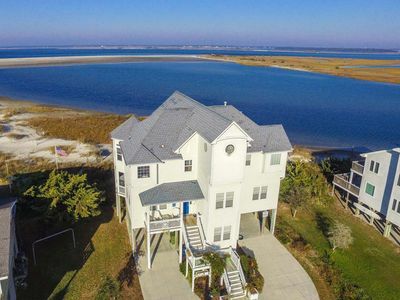 Gorgeous, Spacious Beach House In Beautiful Emerald Isle, North Carolina! Big Bang for your buck! 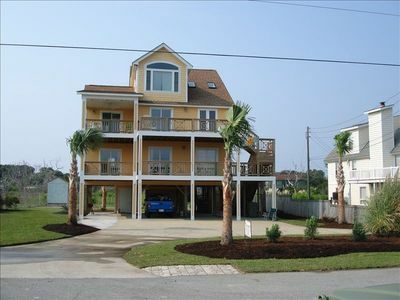 Almost oceanfront!